I know summer's just about over - and thank goodness for that! 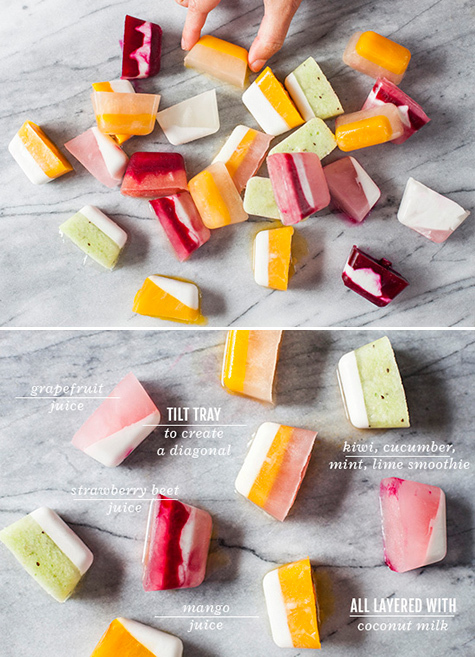 - but if you're searching for a way to hold onto its delicious colors and flavors, try making these delectable fruity summer striped ice cubes from Oh Joy! She combines juices, smoothies and coconut milk to form these perky treats that only bring more happiness as they melt. Happy Friday!